Things are moving quickly in American culture. Like predators striking their prey opportunistically, godless forces in our culture are pouncing on any remaining vestiges of Judeo-Christian ethics in America. The homosexual rights groups are just such an example, as seen from their recent efforts to remove an evangelical preacher from President Obama’s inauguration, because he preached against homosexuality a decade ago. I encourage you to read the comments below regarding this latest attempt to pounce on ethics. For the past several decades voices inside and outside the church have said that Christians have hurt our witness by focusing on issues that challenge individualistic sexual permissiveness. They say that if we would only focus on actions that show how much we love our neighbor, actions like ending human trafficking, we would be welcomed in the public square. But as the Giglio incident reveals, no amount of good works can atone for committing the secular sin of subscribing to the biblical view of sexuality. “Clearly, speaking on [homosexuality] has not been in the range of my priorities in the past fifteen years.” But for the sexual liberationists, both secular and religious, it is not enough to have stopped talking about an issue decades ago. Anyone who has ever spoken about the issue—or at least has not recanted from believing what God says about homosexuality—is to be treated as a bigot. An imbroglio is a painful and embarrassing conflict. 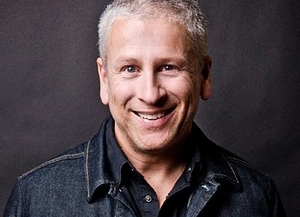 The imbroglio surrounding Louie Giglio is not only painful, it is revealing. We now see the new Moral McCarthyism in its undisguised and unvarnished reality. If you are a Christian, get ready for the question you will now undoubtedly face: “Do you now or have you ever believed that homosexuality is a sin?” There is nowhere to hide. I turned right last week in Nicaragua instead of continuing straight, and God changed lives as a result. I was on foot, walking the muddy streets of the village of El Carmen in north-central Nicaragua. Accompanied by a handful of fellow North Americans who were taking a break from their tasks at the medical clinic, I was leading them out to visit house-to-house. As we dropped down the hill from the clinic, I planned to follow a mountain path that winds its way high through the rugged terrain. A glance at the team changed my mind. One lady in particular wouldn’t be able to endure the lengthy, steep hike. So I turned right instead. The rest is eternal history. Who knows what would have happened had I stayed straight? What I know for certain is that God orchestrated the presence of the lady who steered my course to the right, ensuring that our path would cross that of several people He led to that particular road as well. The rain-soaked, puddle filled, dirt road wasn’t choked with foot traffic, but our “house visit” outing soon transformed into several gospel conversations along the way. Small groups of people grew curious, I suppose, as to why white people from the U.S. were standing on the road talking with villagers. New arrivals seemed to wait their turn to talk. One lady from our little team used balloons to magically create animals for the waiting children, while others handed out candy. We talked, moved down the road a bit and talked some more, made our way into a few homes to share the gospel, and then hit the trail again. In the course of one afternoon, God’s providence never let us leave the road. And we never needed to. He directed people’s steps to us. By the time we hiked back to the village center for dinner, our hearts were raw with emotion. God had given us the high and holy privilege of being the instruments through which He saved people, drew others back to Him, and planted gospel seeds for future harvest. I can still see the face of a young school teacher, tears streaming down her face as my translator and I shared Christ with her. Already a Christian, she had gradually re-embraced a life of sin, walking away from the Lord. Gospel words opened the floodgate of guilt and regret. Hearing her heartfelt prayer of repentance brought tears to our eyes. With heaviness of heart, I see the young mother whose husband left her and their children. She too was a Christian, but sin, a hard life, and man-made religion worked to lead her far from the cross of Christ. Her husband had cruelly woven a web of deceit, telling her that the Roman Catholic Church allowed him to legally divorce her, but she wasn’t free to remarry. Depression had settled on her so heavily that she couldn’t meet our gaze. Her home was perched high on the mountainside, providing a spectacular view across the valley and clear river that cut through it. North Americans would pay a substantial sum for such a picturesque lot, but the beauty was entirely lost on her dark heart. She sat alone with her melancholic thoughts, her ignored children bustling about around her. As we gently shared the gospel story, reminding her of God’s love in spite of our sinfulness, God gradually softened her heart. Though we were total strangers, this dear woman opened her heart to us and shared her heart-breaking story. We were able to teach her that her husband and the Catholic Church had lied to her, that God doesn’t bind her to man-made laws. We were able to share with her the blessed forgiveness of Jesus Christ when we repent of our sins with a sincere heart. Her quiet prayer of repentance warmed our hearts. I slid back down the muddy trail to the road below, praying earnestly that God will heal her, encourage her, and grow her in the days ahead. Waiting at the bottom were two or three members of my little team, those who had stayed behind because the woman mentioned earlier wasn’t able to climb the hill to the lady’s house. Again, God’s providence had kept them below. Their presence on the road perfectly coincided with that of a 12-year old boy. They had stopped him, made a balloon creation for him, given him candy, and tried their best to communicate, even though they didn’t speak a word of Spanish. When my translator and I arrived, we introduced ourselves, learned his name, and shared the gospel with him. He nodded with conviction when I asked if he wanted to heed Jesus’ command, “Repent and believe in the gospel” (Mark 1:15). We gathered around and laid our hands on his shoulders as he prayed and placed his belief in Christ for salvation. The afternoon on that particular mountain road was filled with just such encounters. At some stops, we planted gospel seeds, finding rejection, but knowing that God’s word never returns void. At other stops, we found and gave encouragement to solid believers. We never had to walk far. God seemed to bring the people to us. We didn’t have to climb the high road I had intended. All we had to do was turn right. God is a powerful, sovereign God whose work is abundantly evident to those who go on mission. Are we using today’s new media tools (e.g., smartphones, iPads, Internet, etc.) as tools, or are the tools of our invention controlling and shaping us? Increasing evidence reveals that our minds – the way we think, respond, and react – are actually being reshaped by persistent exposure to tools which are turning the tables on us and becoming our masters. Dr. K. Scott Oliphint is professor of apologetics and systematic theology at Westminster Theological Seminary in Philadelphia, Pennsylvania. He has written an excellent article on the importance of Christians regularly withdrawing from contact with the “always on” world. Enjoy. When was the last time you withdrew? Not the last time you were the only person in the room or in the house — when was the last time you withdrew from contact with anyone else? Jesus “would withdraw” from the crowds “to deslolate places and pray” (Luke 5:16). He knew that His busy schedule required time alone — completely alone — with His heavenly Father. In the twenty-first century, being alone and withdrawing mean much more than being the only person in the room. They mean being unplugged. In our appreciation for the help that technology can bring, we have perhaps been unaware of its more subtle dangers. And its dangers are not simply located in the content that technology can deliver, harmful as that may be. Its dangers lie also in the behavior that is required by its use. Owning a smartphone creates the peer pressure of immediate communication. How many times a day do you check your email — by phone, computer, laptop, or tablet? How many times do you check it even when you’re in the middle of a conversation? Also, with the reality of our new penchant to be in constant contact comes the reality of others’ constant expectations of us. Owning a cell phone brings expectations that one should never be alone. When the crowds pressed in on Jesus, He knew that obedience to His heavenly Father required that He must at times withdraw to focus on that relationship, and on it alone, in order to meet and confront a needy and hostile world afterward. A Christian who is serious about growing in the grace and knowledge of Jesus Christ will make technology a resourceful servant, not a mind-numbing master, and will commit to making a habit of withdrawing from it all in order to mold the mind, more and more, in conformity to the depth and truth of the Christian faith.